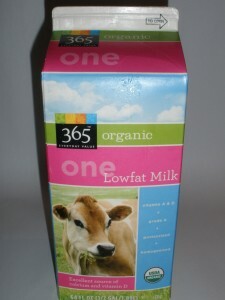 365 Organic Milk 1% is excellent! My Review – Another excellent tasting organic milk. I can enjoy this by the glassfuls! This is a very smooth and creamy organic milk that is very satisfying for a 1%. Great for all milk drinking and dunking occasions!